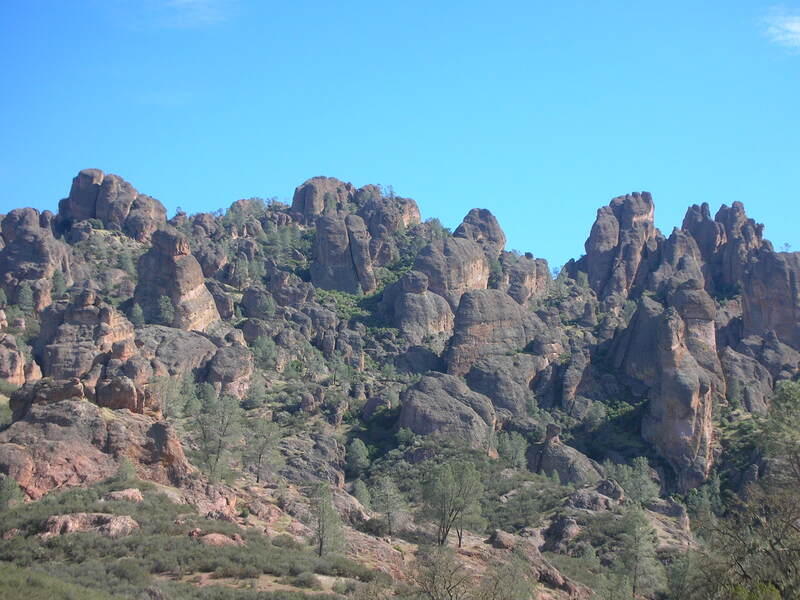 Today’s post will be about Pinnacles National Park but before I revisit Pinnacles, I want to say how sad I am over the devastating earthquake, and subsequent tsunami and fires, that has hit Japan. A knot immediately forms in my stomach when I turn on the news and hear that there’s been a disaster. The news here in the SF Bay Area was soon devoted to covering our coastline as the tsunami waves made its way across the Pacific. Thankfully damage was minimal, with some boats and ports (still millions of dollars in damage) damaged in Santa Cruz and Crescent City. It was very odd to watch boats come undone and be tossed around by surging waters. I can’t imagine what it’s like to live through a natural disaster of that magnitude. As it so happened, the water went out in my apartment building for a few hours (unrelated cause). Of course it happened right in the middle of my shower. What did I have to drink in my fridge? Bottles of beer and wine. No water or juice at all! Hubby and I really need to make sure that we are prepared for the next big one that will inevitably hit the Bay Area. 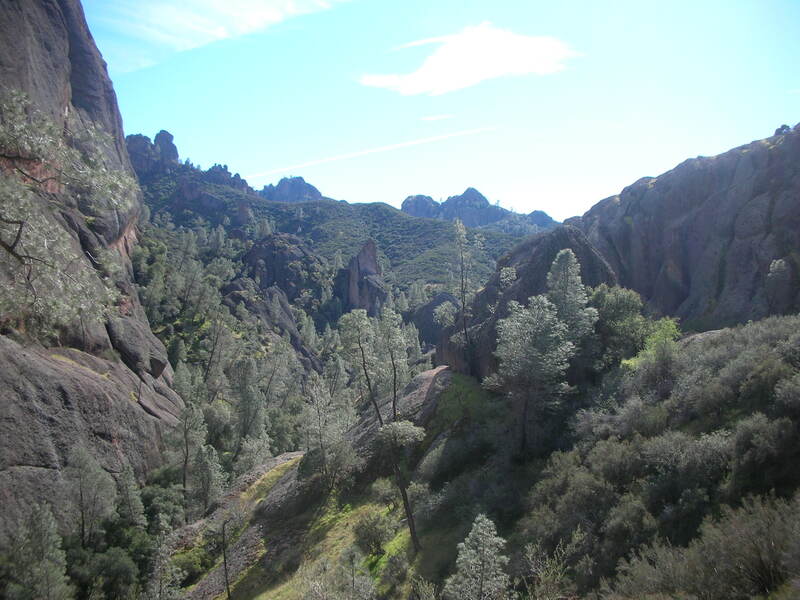 Pinnacles National Park was highlighted in an episode of Motion as being the place for the three C’s: cliffs, condors and caves. 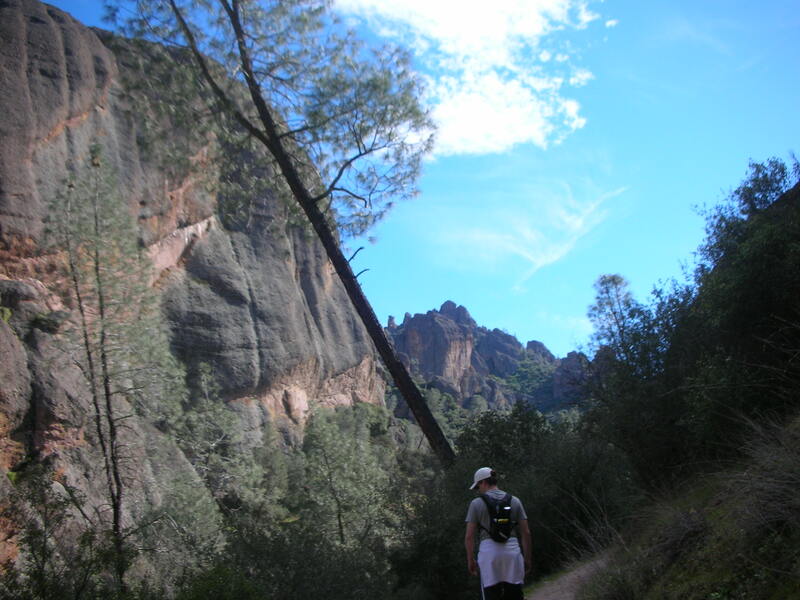 Located just a few hours from the SF Bay Area, Pinnacles is relatively unknown when compared to nearby Yosemite National Park and Sequoia & Kings Canyon National Park. 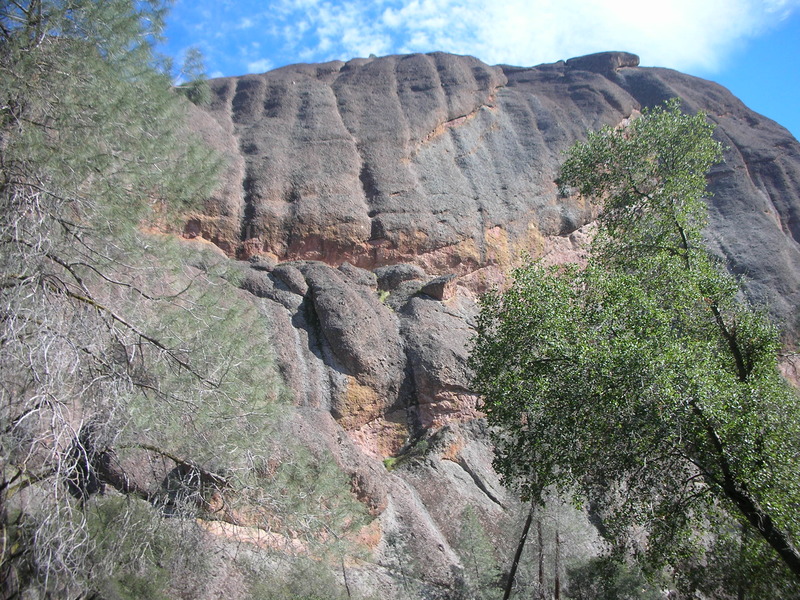 Pinnacles is actually a part of an old volcano that erupted millions of years ago. The other half of the volcano ended some 195 miles southeast. 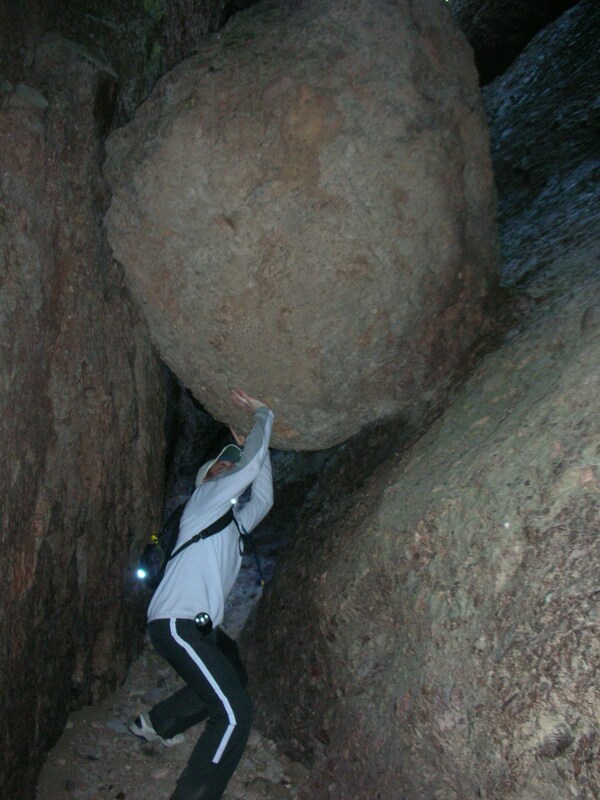 We visited the park to do a short hike while on our way home from San Luis Obispo. 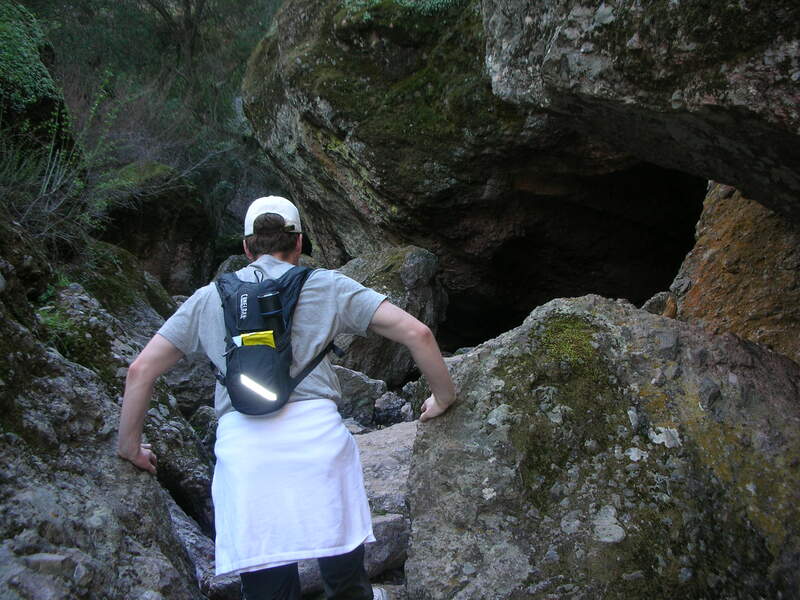 At the visitors center, we got a map, trail guide and flashlight to explore the caves. 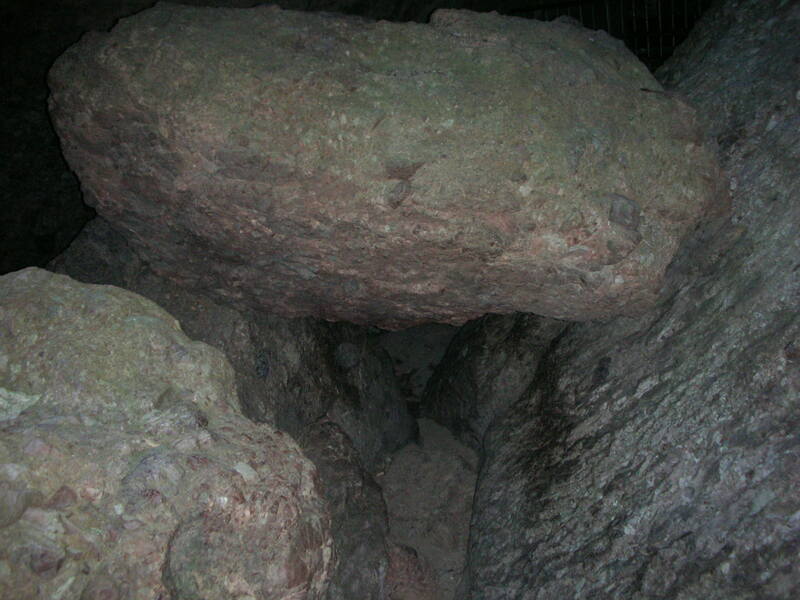 While there are strenuous trails that go all the way up to the peaks, we did the easy loop that takes you up a small elevation along the cliffs and then back down through the caves. Along the trail are numbered posts coinciding with the numbered paragraphs in the trail guide, explaining the park’s sights and sounds. Pinnacles is one of the few places where the endangered California Condors are released. Heading toward the peaks gives you a better chance of spotting one of these magnificent birds. 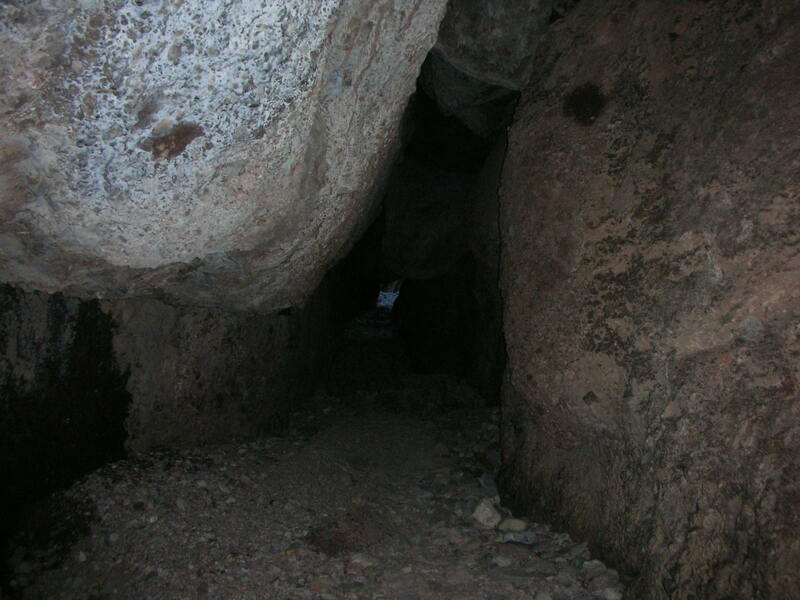 Besides Condors, Pinnacles is home to many other birds such as hawks, eagles and falcons. 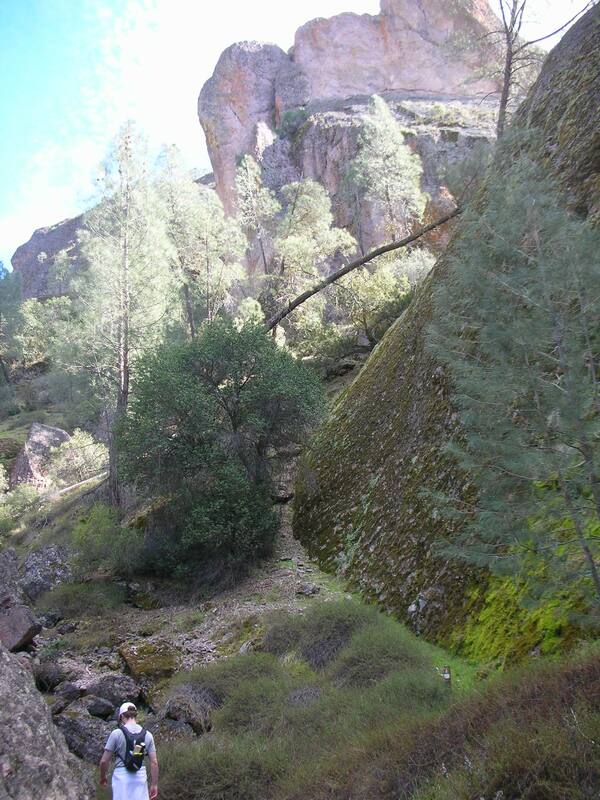 Walking along the trail, past the giant mountains with varying shades of green, orange and brown mold, we could hear the birds calling out to each other, “Kah kah kah!” Reminiscent of Yosemite, we spotted a few hardy rock climbers making their way down a cliff. 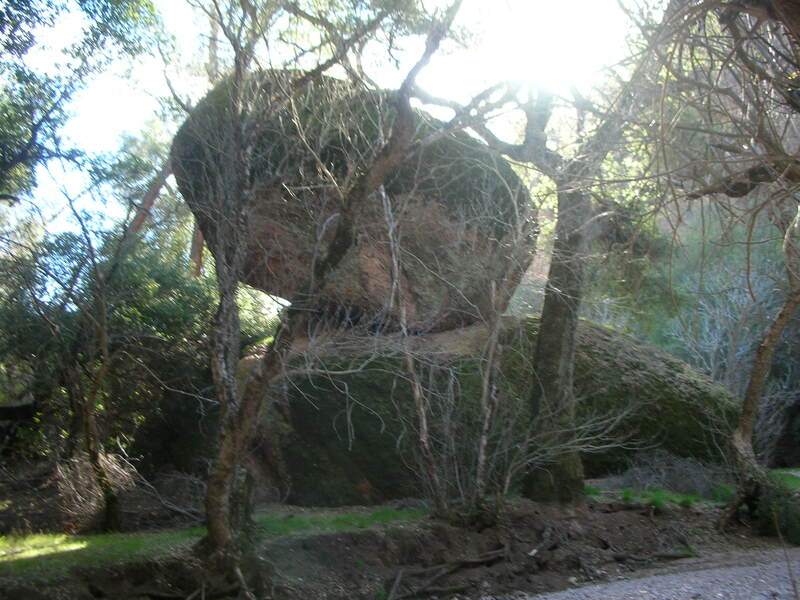 Emerging out of the caves, we ran across this humongous rock perched perfectly on a flat rock. 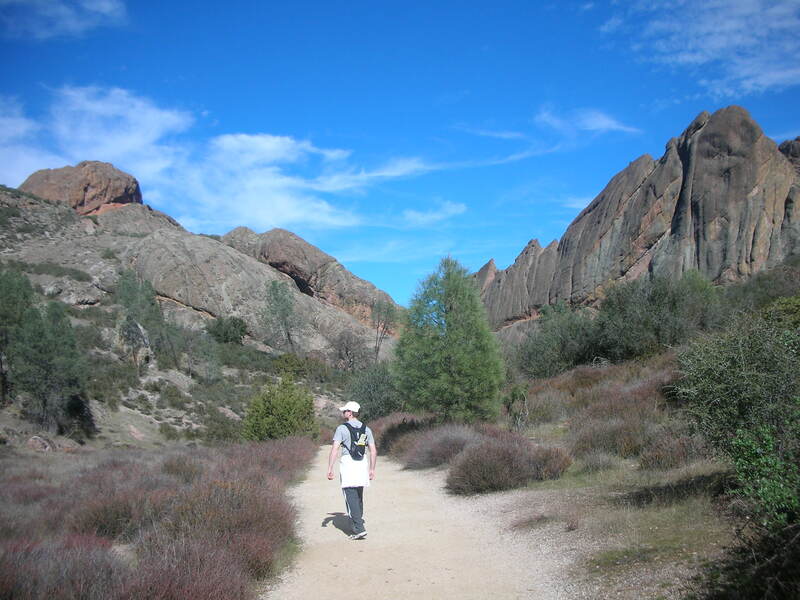 While there’s no camping in Pinnacles, I hope to be able to visit the park again sometime soon. It’s rare to be in such a majestic surrounding, so close to home, without having to fight crowds and vehicles. While I am really excited to go on our Europe vacation later this May, it’s perfect weekends like this one that make me so happy to live in such a beautiful part of the country.